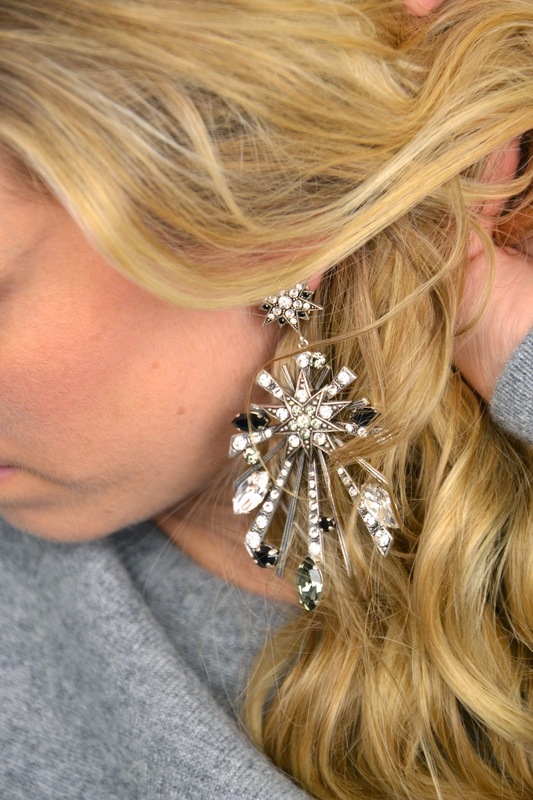 If you read my blog then you know that I'm obsessed with statement jewelry. When I spotted these Melissa Kandiyoti earrings it was love at first sight. They give instant glamour to any outfit. I opted to wear this simple outfit and let the earrings be the center of attention. The comfy cashmere jumper is from Eric Bompard which is my go-to brand when it comes to high quality cashmere items. They are really worth investing in. I love the combination of the softness of the cashmere in contrast with the metal from the earrings. I could team up this look with some leather trousers and white trainers to give it the modern edge. When I visited the Melissa kandiyoti showroom a while back, I completely fell in love with the brand. You know that feeling when you look at a collection and you can totally see yourself wearing every single piece? Well, that’s what happened when I met this brand! I have some more fab pieces to show your from this brand so stay tunes! Oh and big news! I have some major projects that will be revealed on the blog soon ! A travel giveaway, lifestyle collabs & beauty exclusives!